Graphics Card not detected or GPU not detected is a common problem that is faced by many users around the world. It is a very annoying problem in which your graphics card is not detected during booting process or your GPU is not detected or recognized in windows. This problem can arise when you install a new graphics card to your PC or even in the middle of using the currently installed graphics card. This problem can be fixed easily if you know the right cause but it can also get very frustrating sometimes. So here in this post I am going to provide the various solutions to fix graphics card not detected problem for your PC. There are generally two types of issues that you can face when graphics card or GPU is not detected by your PC. Graphics Card Not Detected during Boot – Here the graphics card is not detected right from the beginning when you start or power ON your PC. There will be no video signal on your monitor and a blank or black screen will be displayed. This error may or may not be accompanied by beep codes depending on your computer BIOS or motherboard. GPU Not Detected in Windows – In this problem your computer will be able to boot up with display to Windows but your graphics card model or GPU will not be detected in the windows display settings or in device manager and it will be shown as “Standard VGA Graphics Adapter”. You may also not be able to install graphics drivers and move to higher resolution and refresh rates during this issue. Here are the various software and hardware solutions that you can try to fix graphics card not detected error for both Nvidia and AMD graphics cards. 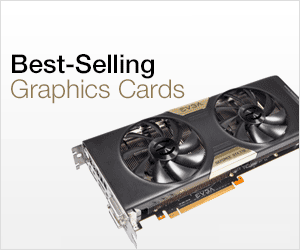 The first and foremost thing to do is to check your graphics card installation. Here open your PC case cover and see whether the graphics card is seated properly in the PCI-Express x16 Slot or not. To make sure that the graphics card is properly installed in the graphics card slot, remove the graphics card and put it back again in the PCI-Express x16 slot carefully. After that power on your computer to see if the problem is fixed or not. If it is not then move to the next step mentioned below. If you are installing graphics card for the first time and they you may to disable the onboard video and set the primary graphics or video to PEG (PCI-Express Graphics). Different BIOS have different names here but the process is the same for disabling onboard graphics and set primary graphics to graphics card. This is the most important factor to keep in mind when you face graphics card not detected problem. If your PSU is under-powered for your new graphics card then it will not be able to provide sufficient power to the graphics card and thus your graphics card may not be detected by your PC or in windows. 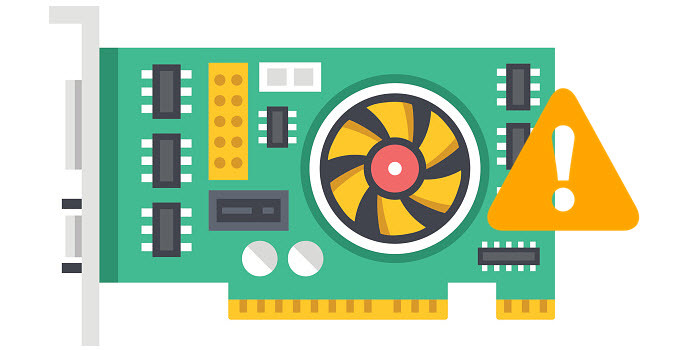 Also if your graphics card requires 6-pin or 8-pin PCI-E power connectors then make sure to connect them with your PSU so as to provide sufficient power to your graphics card for its working. You can check out the list of best budget PSUs for graphics card from the link given below. If you are upgrading from integrated graphics / onboard graphics to a dedicated graphics card then first uninstall your onboard graphics card drivers before installing the graphics card in your PC, otherwise your graphics card may not be properly detected by windows operating system. After removing the video drivers for onboard graphics, you can install the video drivers for your dedicated graphics card. You must install proper video card drivers for your graphics card so that it can function properly. Always download drivers from the official websites of the graphics card or GPU manufacturer. 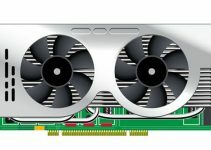 For Nvidia graphics cards download video drivers from http://www.nvidia.com/Download/index.aspx and for AMD Radeon graphics cards you should download video drivers from http://support.amd.com/en-us/download. Widows updates can often lead to this problem where graphics card is not recognized in Windows. If your graphics card is not being detected after a recent windows update, then remove or uninstall that windows update and roll back to previous one. I have seen this issue mostly with Windows 10 that has a knack of getting and installing so many updates in a short period of time. Check the display cable of the graphics card and see if it is working properly or not. This is because many times a faulty and cheap video cable can cause this graphics card not detected problem. Here I would advise you to buy a good branded cable having gold connectors at the end-points. It can happen that the graphics card is not compatible with your older motherboard. Here you can try to update your BIOS so that it can support your new graphics card. You can download the latest BIOS version from the motherboard’s manufacturer website. It may happen that the Video BIOS or GPU BIOS of your graphics card gets corrupted and this is causing your graphics card from being detected properly in Windows. Here the graphics card may function at normal VGA resolution (as VGA Adapter) using the default windows VGA driver but you won’t be able to install its drivers from the GPU manufacturer i.e. Nvidia or AMD and increase the resolution. To fix this you can flash your graphics card BIOS or GPU BIOS using GPU flashing tools. If your graphics card is defective or has gone bad then this problem is bound to arise. Here you can check your graphics card in another PC and see if it working properly or not. If it is not working in other PCs then you can either get it repaired or exchange it if it is still under warranty period. It is very rare but it could happen that the motherboard PCI-E x16 slot is not working properly or it has gone bad. You can check your graphics card in another computer and if it is working there then there is definitely something wrong with your motherboard or the motherboard is not supporting your graphics card. Here the only thing you can do is to replace your motherboard to a newer one. Well if you follow all the above mentioned tips then you can surely get rid of the graphics card not detected problem and make it work on your PC. If you still have some questions or doubts then feel free to ask me by leaving a comment below. 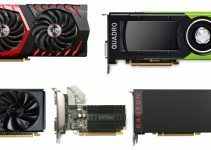 How to Find Graphics Card with Higher Overclocking Potential? The only way to fix them is to flash with the correct GPU BIOS. If they are not getting detected then you have a dead card otherwise they can be fixed. If I remove my integrated intel graphics drivers, and do not get pci graphics card to work, how will I revert back to integrated if I cannot drive the monitor? I have a fear of bricking my pc. You monitor will still work with the Generic Windows Display Drivers in lower resolution. Just restart your computer. It will come up again automatically.